I took the Copy Your Clothes class at Bits of Thread DC a while back (a year?). And I started pants, but never finished them (feeling fat keeps me from shopping & also from finishing sewing projects!). Anyway, I'm copying a Coldwater Creek skirt, linen, which I wear a lot. This is not the greatest photo, but it gets its fullness from eight panels, all cut on the bias, and then all those vertical seams are finished w/ flat-felled seams, so they really stand out and, I think, are slimming. I like the fullness, too, because a) it's more fun to wear and b) it gives the illusion I have a waist! 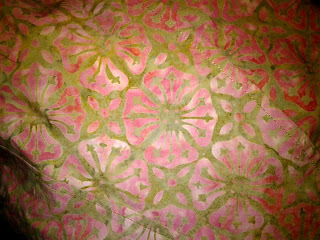 The neutral color is great because I have lots of tops that are bright colors and many many jackets made from West African fabric. I wear it year round, with woolen tights & boots in the winter & with bare legs & sandals in the summer. The only thing I don't like is the lining is polyester, so on some of these extra humid & hot DC summer days it's not as cool as I'd like. So I decided to copy it because I have got so much use out of it and I think it fits great. 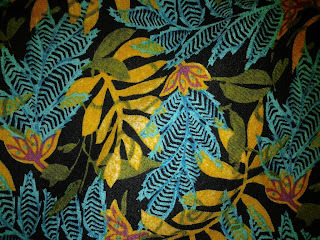 Plus I wear lots of skirts and summer is coming and one that is about 5 years old, also made from a West African print, is wearing out and I'm afraid it won't make it to Labor Day. 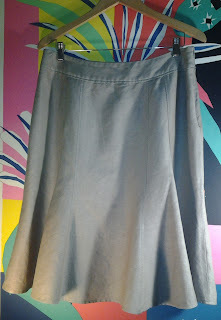 So I need another skirt, or 2 or 3. So hopefully it will be finished soon. Oh, but I have to get some lining fabric...and line it, so maybe not finished real soon! 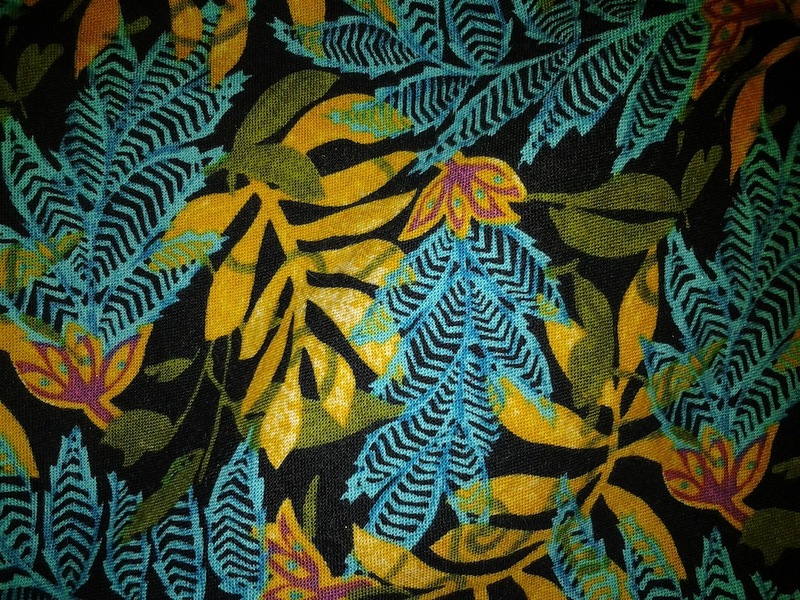 Batik always makes me think of Bali & the Kecak dance. So watch the video & you can think of it too! BTW, If you're looking for some behind-the-scenes info regarding Project Runway, read a bit of Mondo's blog and find out about the basement! 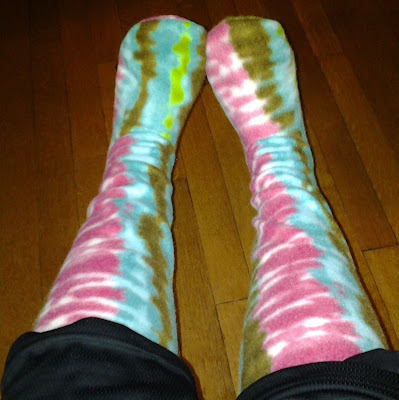 One Yard Wonder Project #2: Cozy Fuzzy Slipper Socks! These would be great to use up some fabric, if you have any leftover fleece. Of course I bought the fleece, but you can use up your stash! They are great & really comfortable. I had to play with the seam allowances a bit because the pattern seemed to be a bit tight. But they came out great and I really like them. I used Plasti-Dip, recommended on Ravelry, to spray on the soles so I don't break a hip on our slick hardwood floors. It's spray-on rubber that really stinks, but after a few hours the smell goes away & you've got slip-free slippers. 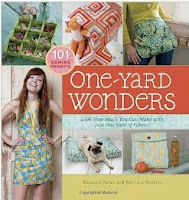 One Yard Wonder Project #1: Roommate Knickers! First up from the One Yard Wonders book I mentioned in the last post...knickers for the Roommate! 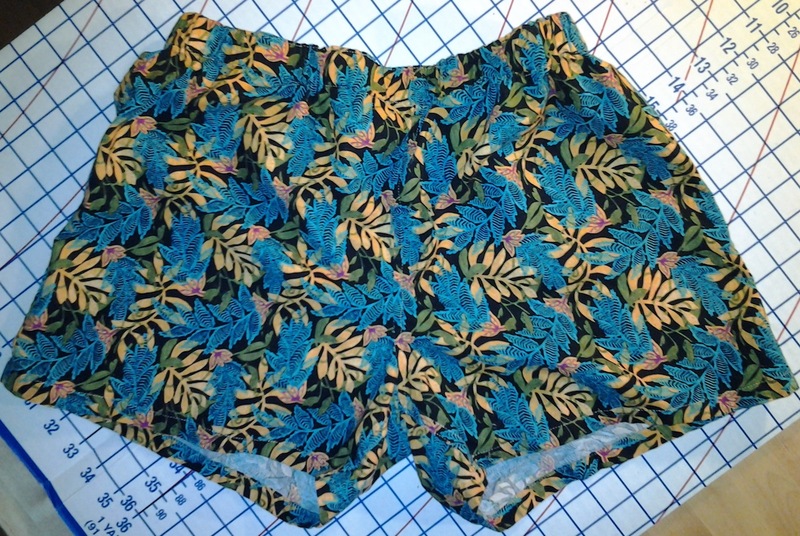 They were extremely easy and I used flat-felled seams inside & out. The pattern doesn't need a separate waistband, so that makes it easy. I have fabric for a second pair, but I'm out of 1" elastic. Do As I Say: Stash-Busting Preacher Tells Others What to Do! I found two books at the local library which I think you may find helpful if you want to bust your stash. 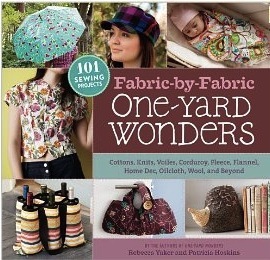 Patricia Hoskins & Rebecca Yaker have written 2 books called One-Yard Wonders: 101 Projects You Can Make with 1 Yard of Fabric, and Fabric by Fabric One-Yard Wonders: 101 Sewing Projects Using Cottons, Knits, Voiles, Corduroy, Fleece, Flannel, Home Dec, Oilcloth, Wool, and Beyond. I found them so wonderful that I've now purchased both. 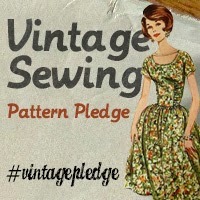 Each book comes with a huge packet of patterns for all the different projects. So far I've traced the patterns for some fleece booties & a pair of knickers for the roommate. So you're probably wondering what's up with the "Do as I say, not as I do" quotation...well, let's just say that I didn't have any fleece for the booties, so I had to buy some. And I found such a good deal on 1 yard pieces at the quilt show last weekend...so I bought 4 for the Roommate's new knickers!